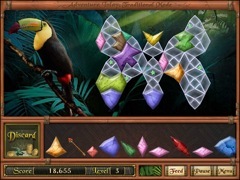 New levels, new shapes and a free screen saver have been added to make your adventure even more enticing! 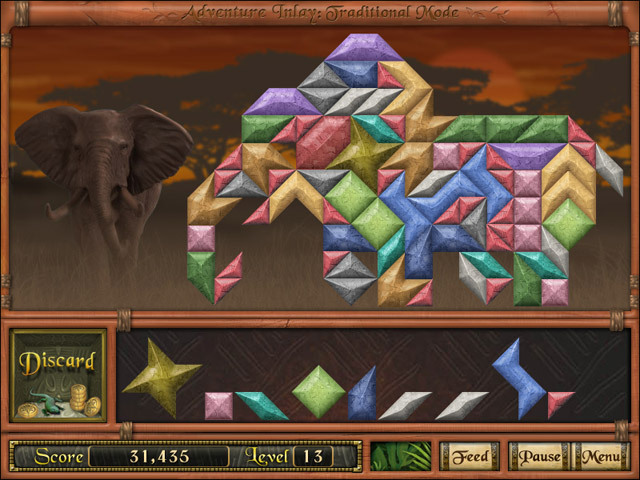 Adventure Inlay is packed with hand-crafted levels and ingenious game play. 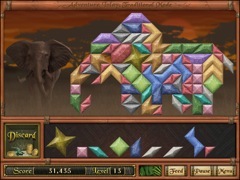 Over sixty gorgeously rendered wildlife scenes fill the Adventure Inlay landscape. 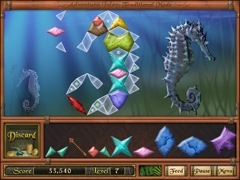 Challenge yourself with four distinctly addicting game modes. Traditional mode will keep you on your toes. Strategery lets you plan your moves carefully, but danger is always near. Revealer mode will pique your curiosity. Enigma mode provides a relaxing mind-bending puzzle.